Central Louisiana Regional Port is located on mile 90 of the Red River, with a strategic location in the heart of the Central Louisiana it’s linked to the Mississippi River and the Gulf Intracoastal Waterway. 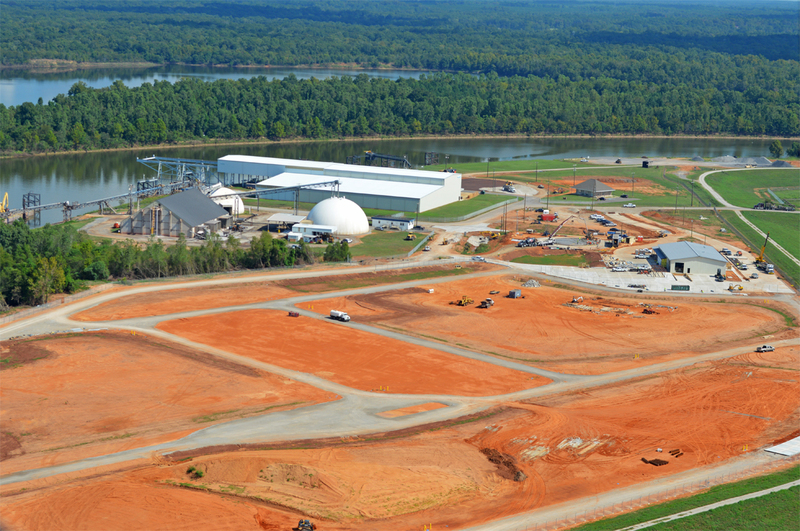 The CLRP owns almost 200 acres of property and include advantages like a 40 ton crane for loading, a general cargo dock , a hopper barge unloading dock with conveyor system, 75,000 total sq ft. of dry warehousing, 13,600 ton bulk fertilizer warehouse, 3,400 and 5,000 ton bulk fertilizer dome. Additionally the port boasts a liquid loading facility with connectivity to two 550,000 gallon fuel storage tanks and one 150,000 gallon tank. This facility is capable of handing two barges and five trucks of loading simultaneously. These investments not only ensure growth of current tenants but also improve the ability to meet the needs of multiple industry sectors. CLRP works for the industry and business because it has the infrastructure to become a true partner for success. Currently we have 7 tenants occupying and operating out of CLRP.